Is there any feature more appealing than a sparkling white smile? Unfortunately, our teeth don't always stay as white as we'd like them to. What causes teeth to become stained, discolored, or darkened — and what can you do about it? Tooth discoloration can be caused by several factors, both intrinsic (internal) to the tooth, and extrinsic (outside). Intrinsic factors create changes in the structure of tooth material itself, causing it to lose its pearly translucency. These changes may occur as a result of wear and aging; as a side effect of certain medications, such as tetracycline; and they can also be the result of pulp death (root canal problems) or trauma (physical damage). The extrinsic causes of staining are mainly foods, beverages and smoking. In addition, genetic and environmental factors can play a part in teeth staining. The easiest way to keep your teeth from becoming stained is to adopt a few lifestyle changes. If you smoke, here's one more reason to quit: your teeth will thank you! Also, if you frequently drink coffee, tea, or red wine, consider reducing your intake or stopping altogether. Then, stick to a conscientious program of oral hygiene: Brush with a soft-bristle brush and floss every day, and visit our office regularly for cleanings and preventive care. This will give you the best chance of keeping your teeth pearly white. No matter how carefully we clean them, our teeth sometimes need a little help to stay white. There are a number of treatments, both prescription and over-the-counter, that can effectively whiten teeth. The major difference between them is the level of professional supervision you receive, and the time they take to have an effect. 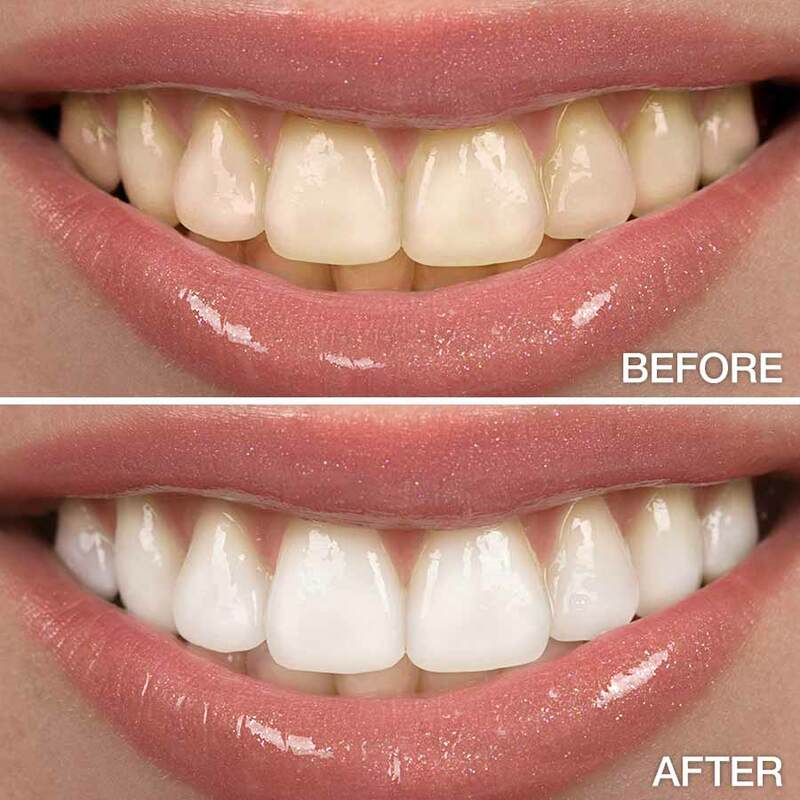 Whitening treatments in our office are the fastest and safest way to achieve the maximum level of whitening available. Before you begin whitening treatments, we will perform a complete exam. This will reveal whether you have an underlying condition (such as a root canal problem) that is causing tooth discoloration, and needs to be treated first. Then, you may have the option to get in-office treatments using the most powerful bleaching gels, or use custom-made trays and bleach solutions for at-home treatments. Both are safe and effective when supervised by our office — the main difference is that in-office treatments work faster. 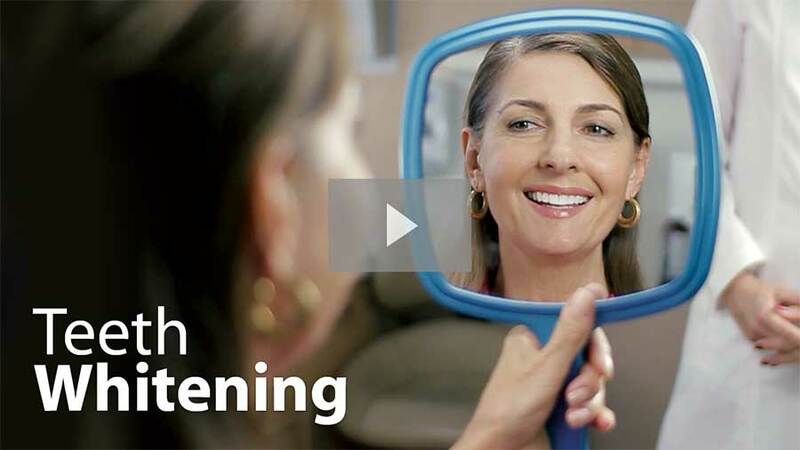 What about those over-the-counter whitening strips? Studies show they do work when used as directed — but they can take more than twice as long as the take-home trays. Also, they don't come with a dental exam or professional supervision. There are a few things you should know when considering tooth whitening treatments. The first is that not all teeth can be made bright white: Every tooth has a maximum level of whiteness, beyond which it can't get any lighter. Also, fillings, crowns and other dental restorations can't be lightened with bleach. Finally, no whitening method is permanent; the typical results last for up to two years, and can then be repeated or “touched up.” However, there are more involved cosmetic dental treatments that can permanently change the color of teeth, such as veneers and crowns. We can more fully discuss your individual options, and help you find the best way to get the smile you want.